In some countries, we offer two programmes in different cities with their own flavour, culture and personality. If you have your heart set on one of our countries in particular, you may have a trickier time choosing which destination to go to! In this blog, we’re taking a closer look at the two Sri Lankan programmes: Kandy, a bustling city in the central region of Sri Lanka, and Anuradhapura, a tranquil sacred town, in the central north area of the country. Both destinations sit inland; Kandy is high in the mountains, whilst Anuradhapura lies lower, but both are home to Sri Lanka’s colourful culture. Known as “the pearl of the Indian ocean” or “the teardrop of India”, this stunning country offers the best Asia has to offer – fantastic food, year-round festivities and a rich, interesting history. Of the two cities, the “Sacred city of Anuradhapura” offers a more chilled, relaxed vibe. This sleepy, safe town is home to around 50,000 Sri Lankans, and perfect for cyclists and those wanting to explore by foot thanks to its quieter streets. In Anuradhapura, there’s a big Buddhist culture, and that’s reflected in the way of life — people are friendly, selfless and welcoming. You’ll meet lots of charming Anuradhians, willing to both show you the ropes of life in Sri Lanka and learn about where you’re from. A smile goes a long way! If you fancy wandering amongst UNESCO World Heritage sites, ancient Buddhist temples, green expanses and breathtaking architecture, you’ll love Anuradhapura. This town also offers an insight into rural Sri Lankan life; traditional ways of living are preserved and respected here. You’ll notice a community culture, with little Western influence. Expect markets packed with local produce, clothing and culinary delights, and local shops selling colourful saris. There’s also Sri Lanka’s famous festival scene, with many religious and cultural events taking place throughout the year. Kandy, home to 120,000 inhabitants, is the second largest city in Sri Lanka. 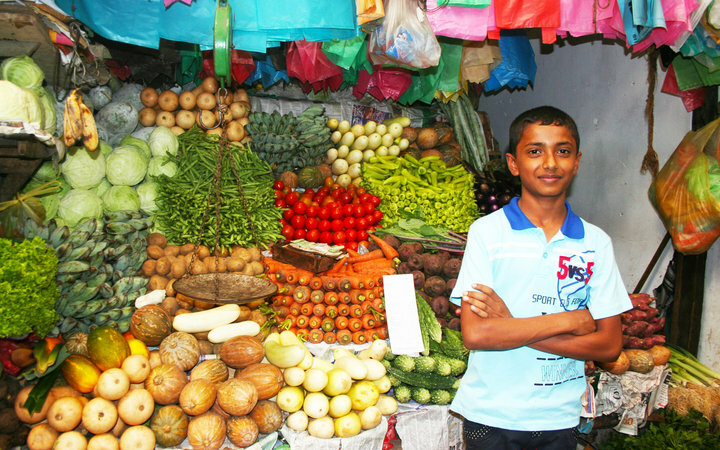 The city is more Westernised than Anuradhapura, so there’s a lot going on; bustling markets, a new shopping centre and busy streets means it has much more of a “city” feel. Kandy is a business hub, but Kandyan people both work and play hard, with an exciting bar and restaurant scene. 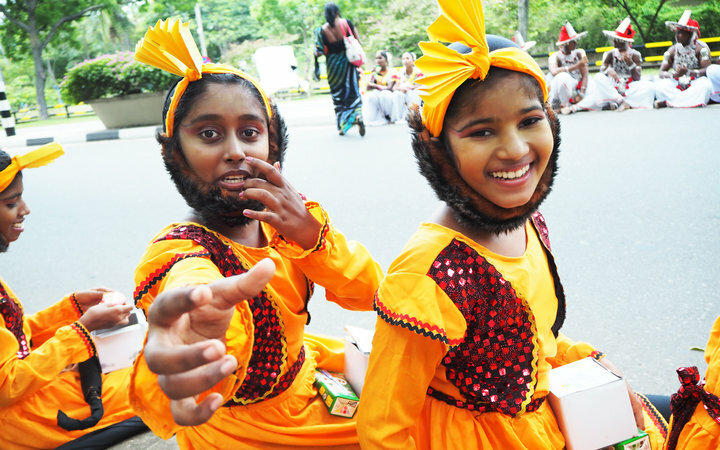 There are also lots of festivities throughout the year in Kandy, from the procession of the “tooth of Buddha” (Esala Perahera) to public holidays and parties. The hustle and bustle of Kandy is juxtaposed by the serene views of the mountains you can see from the highest points in the city. As the city is at a high altitude, you might also find the climate to be slightly cooler than the north of the country – however you’re unlikely to see daytime temperatures dip below the mid twenties anywhere in Sri Lanka. Whilst around three hours apart by car, Kandy and Anuradhapura are fairly central and access to the main wonders of Sri Lanka is easy from both. As it’s relatively small, the country is your oyster when it comes to taking advantage of the exciting activities and trips on offer. From beaches to mountain tops, Sri Lanka has everything any visitor could want! The ancient city of Anuradhapura is surrounded by monasteries and temples gardens. From afternoon city tours of the stunning religious stupas (each of which is said to house a relic owned or touched by Buddha) to the immaculate gardens designed for relaxation and quiet reflection. Explore the Isurumuniya Temple at the Royal Pleasure Gardens, The Royal Palace with its historical ruins, or simply wander around the beautiful lakes. You could even take an afternoon a few miles outside of the town to visit Mihintale, a mountain peak with stunning views, and a significant Buddhist pilgrimage site. Kandy is home to a significant Buddhist site — a temple that supposedly houses the tooth of Buddha. 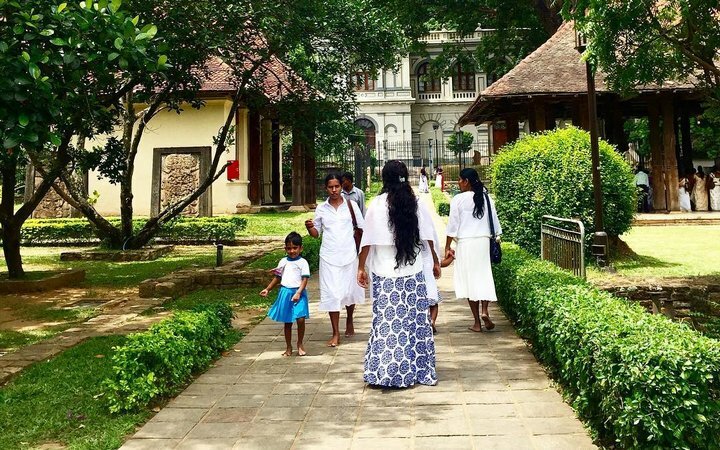 You can wander around the temple and learn about Kandy’s buddhist history, and finish off the day with a stroll through the bountiful botanical gardens. One must-see is the ‘Bahiravokanda’ statue, or ‘White Buddha’, and no trip to Kandy is complete without a leisurely walk around the lake finished off with a trip up to Kandy viewpoint to see the whole city. Beyond the confines of the cities, there’s so much more to explore in Sri Lanka. At around two hours from Anuradhapura, Trincomalee is a favourite hotspot for people who travel with us. You can spend your weekend soaking up the sun at this famed resort, with some of Sri Lanka’s most beautiful beaches. Jaffna is another northern seaside spot you’ll want to check out, especially the colourful Hindu temple, Tellipalai Durga Devi. About 1 hour from the Anuradhapura Work the World house is the picturesque Wilpattu national park, where you’ll spot some of Sri Lanka’s native wildlife. You can also go on elephant safaris to see the beautiful creatures in their home in the wild. Kandy is a bit further from the beach but jumping aboard one of Sri Lanka’s famous trains through the mountains makes the journey a lot of fun. 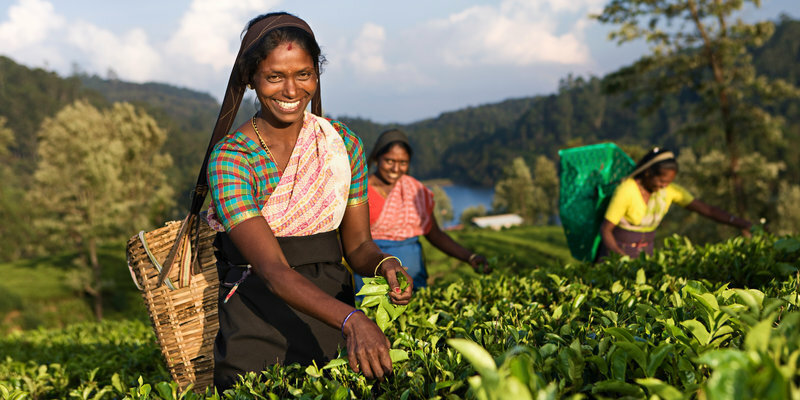 You could also try out a tea plantation tour and turn your hand to picking tea, spend the afternoon white-water rafting, or hiking Sri Lanka's famed landscape. Yala national park is a popular weekend trip, as is Galle — a famous party resort and UNESCO World Heritage Site. If you’re worried about missing out, however, you can easily travel north to Anuradhapura to see the sights on the weekend, or vice versa. Authentic Sri Lankan food is a diverse and exciting mix between the likes of Indian and Chinese flavours, always made from healthy wholefoods, often with a kick of spice. 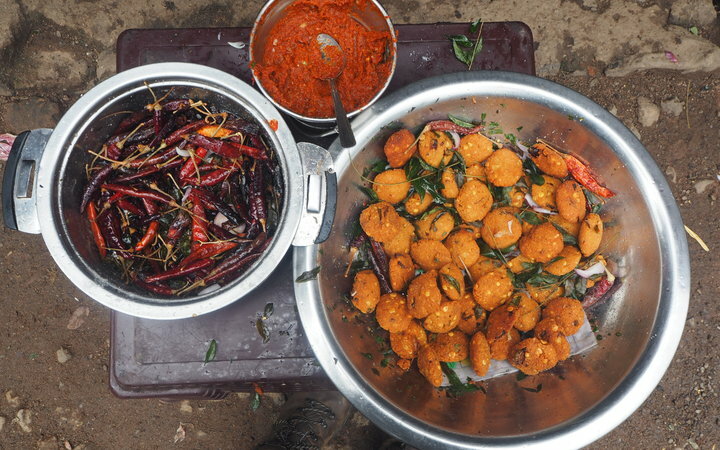 Most Sri Lankan food is made from scratch, such as “hoppers” (a savoury pancake dish) and full of seasoning. When you’re travelling away to coastal destinations like Trincomalee, Jaffna, or Galle on your weekends off from placement, you’ll be able to enjoy delicious seafood dishes with a Sri Lankan twist, such as prawn curry or seafood pizza. Because food is such a big part of Sri Lankan culture, you probably won’t find many differences between Kandy and Anuradhapura as they both offer the same diverse range of dishes. However, due to Kandy’s Western influence, you might find the odd fast-food restaurant. Both locations offer a good selection of authentic restaurants with everything from sweet pastries to dahl curry – and our Work the World house chefs can cater to any and every dietary requirement, with a mix of home comforts and delicious local food. So, if you want to immerse yourself in traditional living and catch a glimpse of the Buddhist way of life, Anuradhapura is your destination. For a fascinating mix of East-meets-West amongst the hustle and bustle, you should head to the jungle surroundings of Kandy. Whichever of the two destinations you choose, you’ll eat, travel and live like a true Sri Lankan! If you still can’t choose, these two cities are just 3 hours apart and both act as a window into the rest of this exciting country – meaning you could even visit both! Whether you’re after blissful beaches, exceptional safaris, or intrepid exploration, both Kandy and Anuradhapura have adventure in abundance. 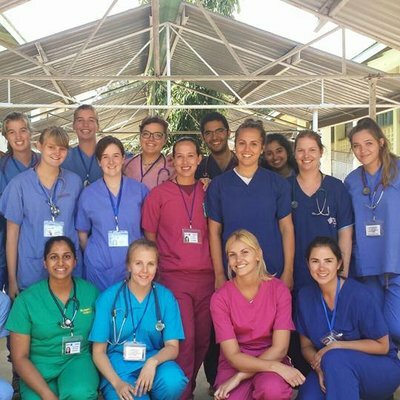 When it comes to clinical experience, you’ll get the same eye-opening opportunities in both our Sri Lankan destinations; our well established ties with hospital staff and governing bodies mean that we have strong relationships and high standards of safety and security for all involved. Our partner hospital in Kandy is a 5 minute tuk-tuk ride from our house, and our Anuradhapura hospital is just a five minute walk, so both are a very convenient trip from home. 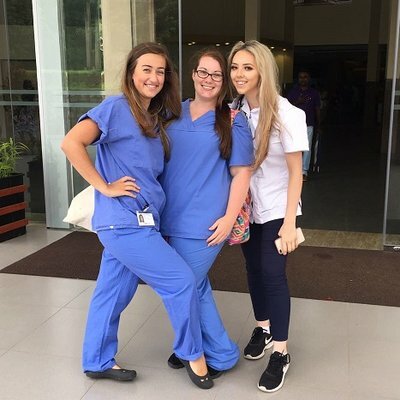 Both cities offer large teaching hospitals, with extremely capable and welcoming staff who will show you the realities of a low resource, high-footfall hospital and help you learn as much as you can.